I bet you all are surprised to see me! I know I have been a bad blogger recently. Some of you have asked for updates so I wanted to post about what has been going on recently. Baby Genevieve should be her shortly. My due date is August 16, however she is a BIG baby. My doctor believes she will be a July baby and I hope he’s right! I am ready to be done with the constant heartburn and I am getting so swollen that I feel like the Michelin man! We have been slowly getting everything we need and but for a few final touches, we are pretty much ready for baby. Sorry about the photo quality–it was snapped on my phone! Since this is a book blog, I suppose I should also talk about what I have been reading. Here is what I read this week. 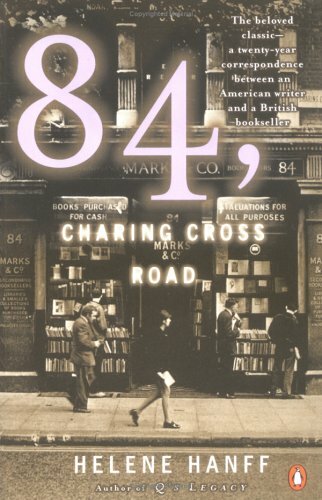 I enjoyed all three books but I must admit that I was disappointed with 84 Charing Cross Road. I loved the wittiness but I just didn’t draw that connection that I had hoped for. 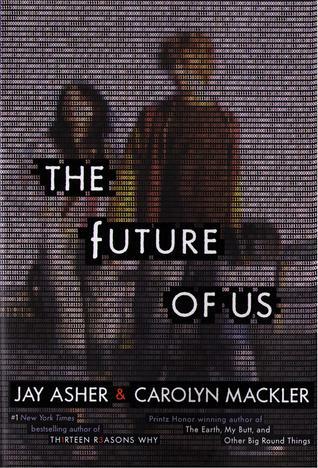 The other two books were great for holding my attention–especially The Future of Us. I couldn’t put it down! I have now moved on to Gone, Girl, by Gillian Flynn. I was too tired last night to read anything but the first chapter (don’t you hate that! ), but I can already tell I will love it. 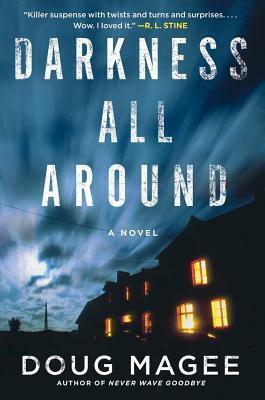 It is the book club choice for my IRL book club this month so we’ll see how it fares. I have a feeling it will be a resounding success! I hope everyone enjoys their Sunday and stays out of the heat! Happy Sunday all! I realize this week has been quiet over here. 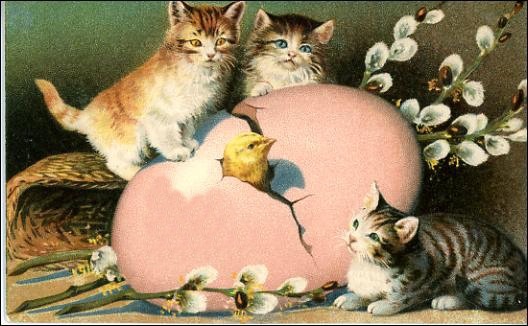 I didn’t intend to go all week without posting but it just kind of happened. Oops. Unfortunately, it will probably stay pretty quiet for the next two weeks because I am leaving for Florida in a few days for a much needed vacation! I had hoped to schedule some posts for the time I am gone but at this point I doubt that will happen. I just have too much to get done and not enough time! 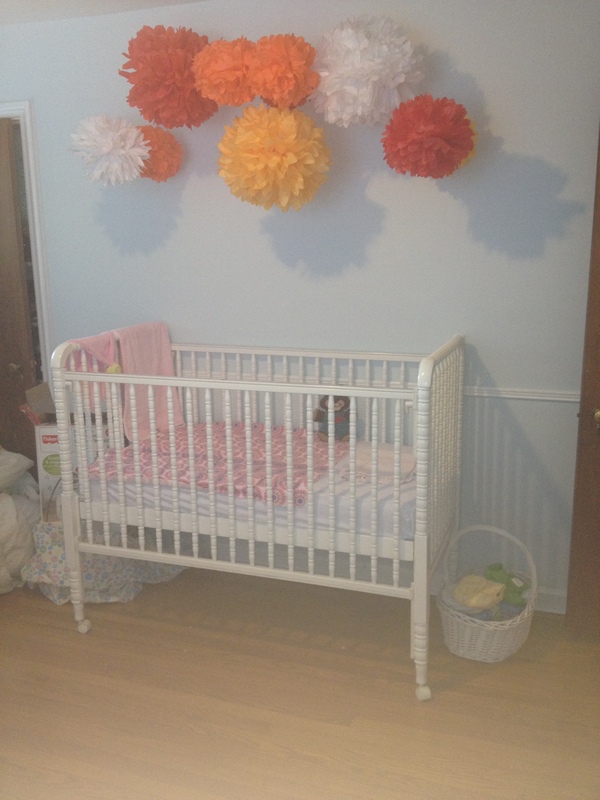 I am excited to have baby’s nursery painted while we are gone! 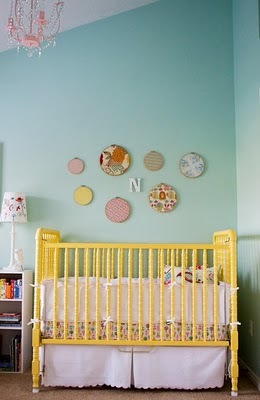 Although I hope to have the girliest child ever, I plan on keeping her nursery pretty gender neutral. I decided to go with very light blue walls so that I could have a lot of really bright accents. 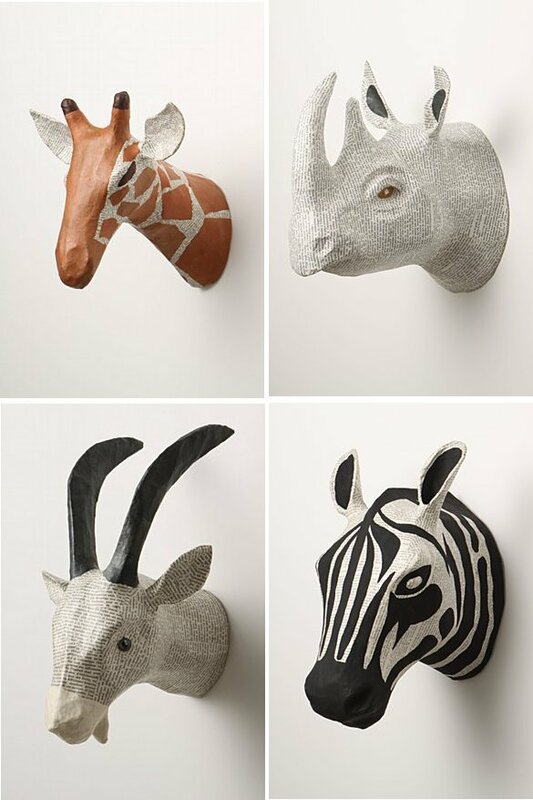 The crib is going to be painted bright yellow and I want to hang some paper mache animal heads on the wall. So once we get back and everything is painted I can really get started with putting the nursery together. As for my vacation, I am busy packing books to read. I am flying but my husband is driving, so to avoid having heavy luggage to pay for, I am sending him with a bag of books! So far, I have Pandemonium, by Lauren Oliver, Ready Player One, by Ernest Cline, Tolstoy and the Purple Chair, by Nina Sankovitch, When She Woke, by Hilary Jordan, Restless Souls by Alisa Statman and Brie Tate and The Leftovers, by Tom Perrotta. Plus copies of Unbroken, by Laura Hillenbrand, which is for an impromptu family book club while we are there. I had the idea to assign a book that everyone will read on vacation so we can all discuss as we read (parents, three sister and boyfriends, plus my husband and I). We’ll see how it works out! I hope you all enjoy your Sunday as well as the rest of the week! Good morning readathoners! I am sure many of you are in recovery mode at the moment. I wish I had been able to participate but it was just not good timing. I didn’t join in any of the readathon madness yesterday but I did get a book read (The Good, The Bad and the Barbie–a history of Barbie dolls) and I also got the new issue of OK magazine read in a nice, relaxing bath. As I have shared before, I work for LUSH Fresh Handmade Cosmetics, and I have been thinking that I want to share a little bit more of my passion for the company and their awesome products. I had such a great bath last night I couldn’t NOT share it! A candy scented bubble bath, a salt based cherry blossom shower gel and a luxurious vanilla and almond oil body lotion. If you’ve never used these products before, then you wouldn’t understand my obsession! BUT I am promising you, if you try them out you will fall in love. And really, what’s better than a comforting bath while reading a good book? I hope you all have a great Sunday! I plan on enjoying my day off by doing pretty much nothing all day. I also need to decide what to read next . . . Happy Sunday everyone! This week seemed to fly by and I can’t believe it’s Sunday already. I have to work a shift at work today but I am excited for later tonight when my family celebrates my sister’s birthday at Sakura, one of those Japanese style restaurants where they cook the food in front of you.Eating out is one of my favorite things, especially when my family is there! 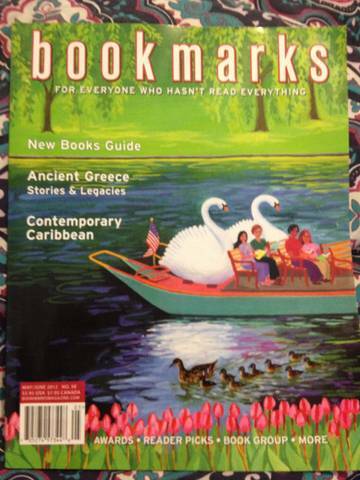 Earlier this week, I was excited to find the newest issue of Bookmarks in my mailbox! I immediately drew myself a bath and soaked with the magazine and a pen so I could star all the new books that I found. I have to admit that the cover articles didn’t interest me as much as usual, so as a result I came away with less of a wishlist than usual. I can’t complain though as my wishlist is certainly long enough already! headlong into the era’s most baffling murder mystery. Seized upon by battling media moguls Joseph Pulitzer and William Randolph Hearst, the case became a publicity circus. Reenactments of the murder were staged in Times Square, armed reporters lurked in the streets of Hell’s Kitchen in pursuit of suspects, and an unlikely trio—a hard-luck cop, a cub reporter, and an eccentric professor—all raced to solve the crime. What emerged was a sensational love triangle and an even more sensational trial: an unprecedented capital case hinging on circumstantial evidence around a victim whom the police couldn’t identify with certainty, and who the defense claimed wasn’t even dead. 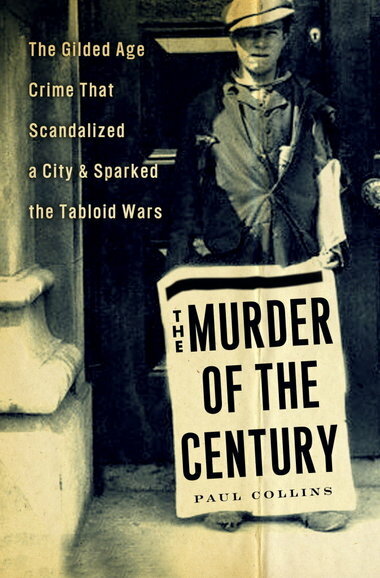 The Murder of the Century is a rollicking tale—a rich evocation of America during the Gilded Age and a colorful re-creation of the tabloid wars that have dominated media to this day. 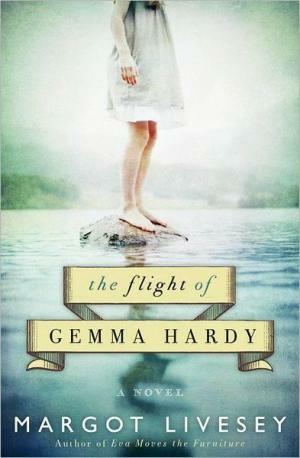 Set in Scotland and Iceland in the 1950s and ’60s, The Flight of Gemma Hardy—a captivating homage to Charlotte BrontË’s Jane Eyre—is a sweeping saga that resurrects the timeless themes of the original but is destined to become a classic all its own. 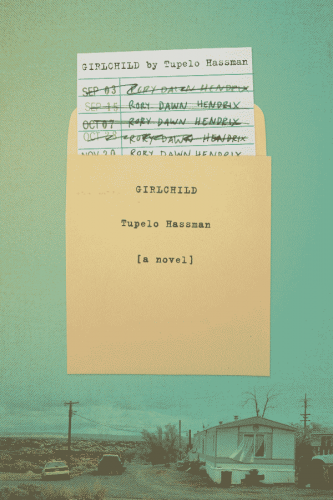 Tupelo Hassman’s Girlchild is a heart-stopping and original debut. Fifteen-year-olds Cece and Mack didn’t expect to fall in love. She’s a sensitive A student; he’s a high school dropout. But soon they’re spending every moment together, bonding over a rescued dog, telling their secrets, making plans for the future. Everything is perfect. Until. Until. Mack makes a horrible mistake, and in just a few minutes, the future they’d planned becomes impossible. In this stark new reality, both of them must find meaning and hope in the memories of what they had, to survive when the person they love can’t stay. 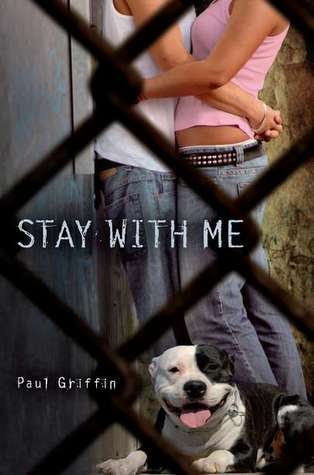 From award-winning writer Paul Griffin, Stay with Me is both heartbreaking and uplifting, filled with characters (both dog and human) that will forever change the way you look at the world. Have you read any these? What did you think of the new Bookmarks? I admit, I did not make it to church this morning. My husband and I slept in instead and then joined my family for a nice, leisurely brunch. My plans for the rest of the day include a lot of lazing around and blogging. And reading. Because guys, I am reading one of the most absorbing books I have read in awhile. I’ll admit, I was a little nervous when I chose to be a part of this tour. The premise sounded interesting enough and the cover is gorgeous, but I have never read anything by Trigiani. I know she is a popular author but none of her books have ever called out to me. 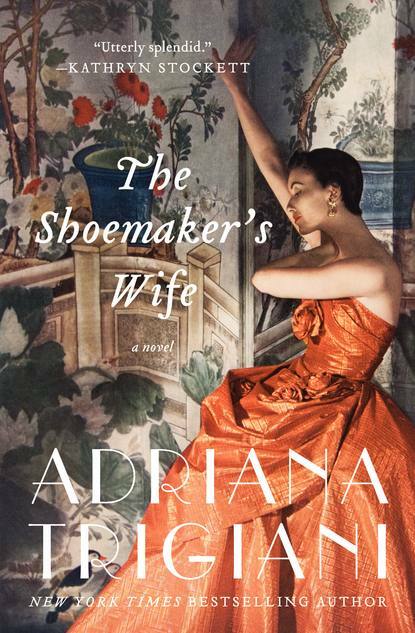 Now that I am almost 2/3 of the way done with The Shoemaker’s Wife, I am beginning to wonder if maybe I should go back and read some of Trigiani’s other books. What do you think? Do you have any favorite titles to recommend? Happy Sunday everyone! Things have been quiet around here for most of the week. I shudder to think of my Google Reader! I am so thrilled to have a day off today in which to catch up on my blogging and housework. We were originally going to go get our Christmas tree today but the mud and rain put a stop to that. I do plan on putting out some decorations today though, so hopefully we can get our tree soon. My Thanksgiving was great, and filled with the company of my family and my husband’s family, which was wonderful. The above picture is from my mom’s house on Thanksgiving. 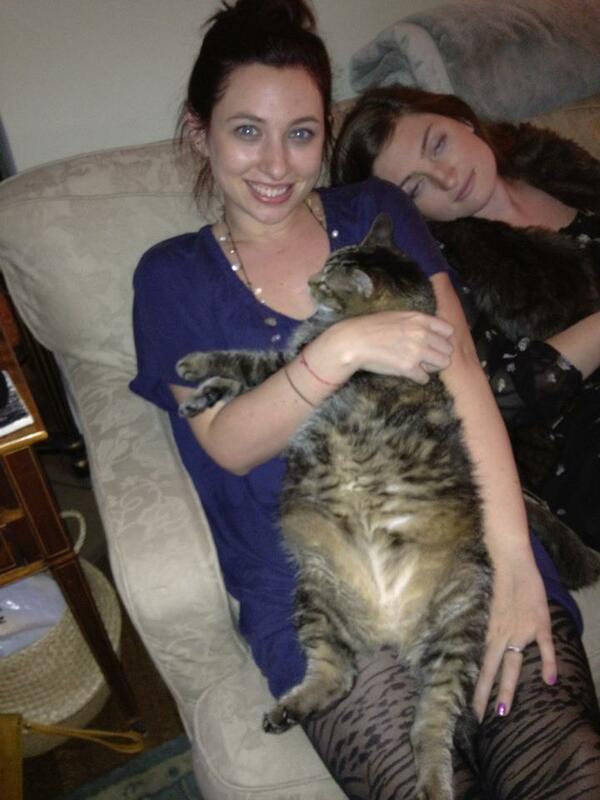 Don’t mind my drunk looking sister on my shoulder. Black Friday was not as bad as I anticipated–in fact, my co workers and I had a lot of fun dancing around and getting everyone into the holiday spirit. I love working retail during the holiday season, despite the madness that can ensue. I hope you all have a great Sunday. My book club is meeting tonight to discuss Wench, by Dolen Perkins-Valdez, so I am looking forward to that. I think it will elicit a great discussion! I know Sunday is drawing to a close, so I am a little late, but better late than never. I worked earlier today so I am just unwinding. I’ve got some spaghetti and meatballs going right now, and after dinner I just plan to relax and get some reading done. First off, I have some administrative stuff to take care of. 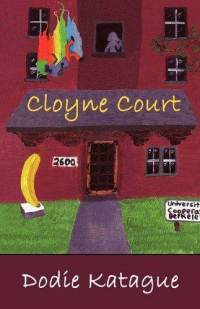 Namely, the winner fo Cloyne Court. Congrats Aths from Reading on a Rainy Day! Please e-mail me your contact info so I can have the book mailed out to you. So, Sarah Waters fans, I need your opinion. 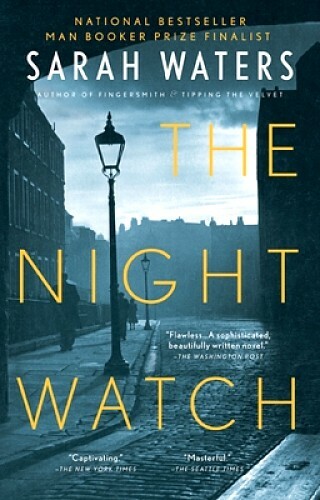 I have read all of Waters’ books with the exception of The Night Watch. I read the first 50 pages and just wasn’t wowed. It seemed to move so slowly and I started to fear that it would be more like The Little Stranger, which I loathed. It was the only Waters book I didn’t love, let alone like. I am starting to wonder if maybe she should just stick to the Victorian era, which she does so well. So here’s my question . . . do I stick with The Night Watch or should I admit defeat and move on?